Some injuries in the medical community are more common than others and when it comes to broken bones, a femur fracture is a relatively common type of bone fracture. Within the category of femur fracture, there are different types of fractures that can occur across all age ranges due to a wide variety of mechanical forces. Understanding these statistics can help patients gain a better understanding of how their traumatic injury occurred and how to prevent it from returning in the future. A study published in the Journal of Orthopedic Trauma in 2011 estimated the rate of femoral shaft fractures to be between 10 and 20 per 100,000 people annually. As alluded to above, there are many different types of fractures of the femur. Some fractures can occur near the hip in an area called the femoral head. Other fractures occur just above the kneecap. Many of these fractures take place along the long part of the bone called the shaft. This statistic shows that while femur fractures may not be the most common type of fracture, they aren’t uncommon either. A study published in the Journal of American Academic Orthopedic Surgery estimated that 250,000 people suffer a femur fracture annually. They expected this number to double by the year 2050. This statistic is important because it shows that fractures in the femur are not only common but increasing in frequency. With the number of femur fractures expected to double by 2050, this helps to draw attention to this important injury. This kind of statistic should be driving people to figure out why this number is increasing and how to prevent this injury from driving up healthcare costs while driving down the quality of life of patients everywhere. A study published discussed the cause of femur fractures and revealed that high-energy injuries occurred more commonly in people of younger age. It is important for people to understand that there are multiple ways to break a bone. 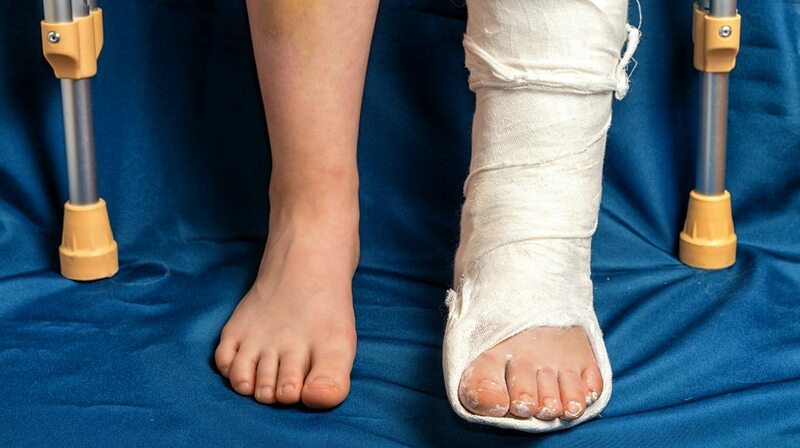 While some people may suffer pathologic fractures, other fractures result from high-energy injuries, also known as traumatic injuries. It should make sense that it takes a significant amount of energy to break the femur of a younger person. The femur is one of the largest and thickest bones in the body. In a younger person, their bones are stronger and it will require more force to break this bone. In fact, radiologists can even look at an x-ray and tell what kind of force was used to break that bone. It is precisely these skills that are important in identifying fractures that are stereotypical of abuse. A study published regarding the incidence of femur fractures by age revealed that a broken leg is more common as people age. While the prior statistic demonstrated that high-energy injuries are more commonly implicated in femur fractures occurring in younger people, this statistic shows that femur fractures are more common in elderly people overall. As people age, they lose the ability to effectively solidify their bones with calcium and vitamin D. Therefore, the bones of elderly people are weaker than their younger counterparts. This means elderly people fracture their bones more often than younger people. For this reason, it is important that people strengthen their bones while they’re young. It will pay dividends later in life. Fatigue Fractures are Relatively CommonA study published in the Journal of Joint and Bone Surgery in 2005 estimated the rate of fatigue fractures to occur in 19.9 out of 10,000 people per year. There are multiple ways to fracture a bone. A fatigue fracture is a type of fracture that develops due to repetitive stress due to excessive use. When this type of fracture develops, a small crack appears in the bone. Therefore, a fatigue fracture of the femur is a subtype of femur fractures. In fact, because this crack is so small, it may not be immediately obvious on an x-ray. Therefore, a physician may need to use a high-resolution imaging modality, such as an MRI. A study published in the Journal of Orthopedic Trauma in 2011 estimated that 11% of stress fractures in runners are made up of femur fractures. The study also mentioned that stress fractures will develop in 37% of heavy runners at some point over the course of their life. Stress fractures are not considered a high-energy type of trauma; however, running does expose the bones and joints to repetitive loading and unloading. This creates significant stress on the bone. People who run for several hours per day without the proper equipment may wind up developing fractures. Sometimes, they show up in the femur. The same study mentioned above found that 53% of femur stress fractures in runners develop in the femoral shaft. When people do develop stress fractures in their femur due to running, it is important to know where to look for them. The study found that a majority of them appear in the long part of the femur, the femoral shift. While stress fractures may not be the typical type of broken leg, they are still incredibly painful and can be difficult to diagnose and treat properly. For this reason, it is important to know where to look for them. When people suffer a traumatic injury, it is important for people to understand where they occur and why they happen. By looking at a patient’s age, lifestyle factors, and injury circumstances, it is easier to understand how a femur fracture develops. This can have important implications for diagnostic and treatment decisions in addition to preventing a femur fracture from returning in the future. I’m Ed Smith, a Sacramento Bone Fracture Attorney. People can suffer a fracture for a variety of reasons. Anyone suffering a bone fracture can reach me at 916.921.6400 for friendly, free advice. I belong to the Million Dollar Advocates Forum. The forum contains top rated injury lawyers in the country. Forum members have obtained verdicts or settlements worth more than 1 Million Dollars on their past cases. Learn more about some of my prior verdicts and settlements. Read my client ratings and reviews at Avvo (the lawyer rating site), Yelp, and on Google.